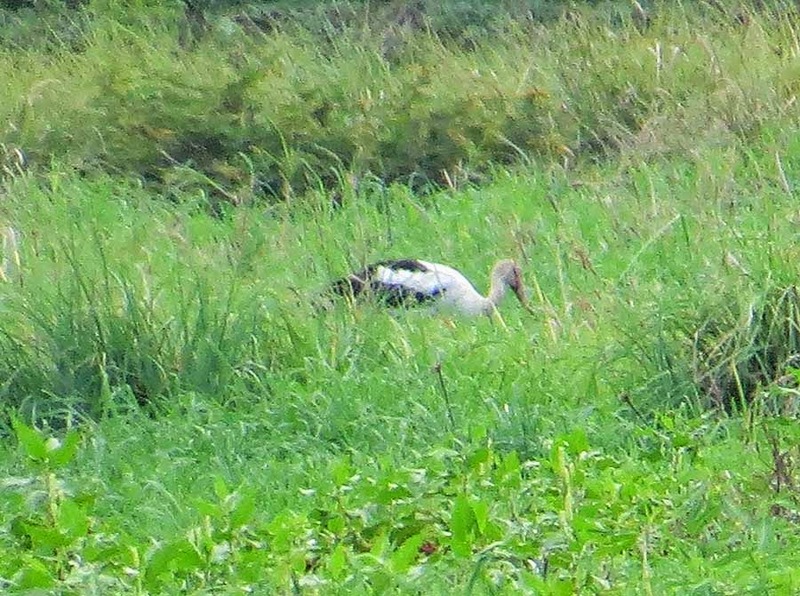 The Maguari Stork was discovered yesterday at Juan Hombrón by Rosabel Miró, Celeste Paiba y Venicio Wilson. 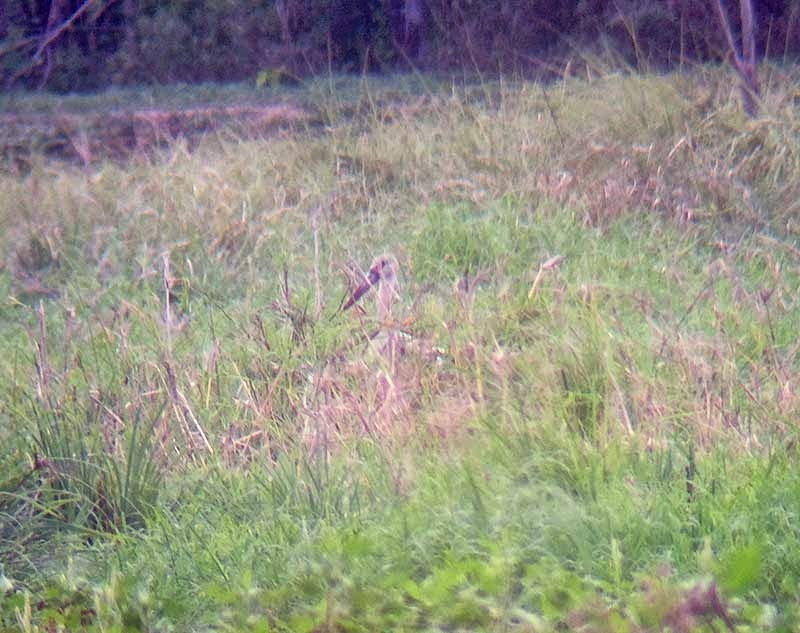 This is the first record for Panama, but not for North America: one was seen in Costa Rica last September. 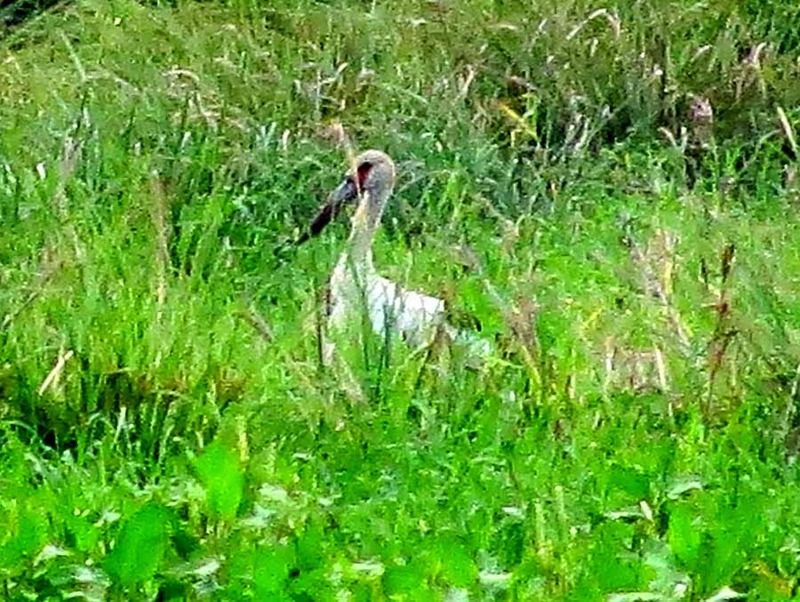 There were two birds, but they never stood close enough to appear in a single shot. Then this morning Venicio Wilson, Osvaldo Quintero and Rafael Lau went looking for them and found them again at around 10 am when they took flight from the same general area where they were yesterday. Photos by Rafael Lau. An afternoon expedition today produced no results, except running into someone who had just been mugged. If you're planning to look for them, don't go by yourself and please be careful.